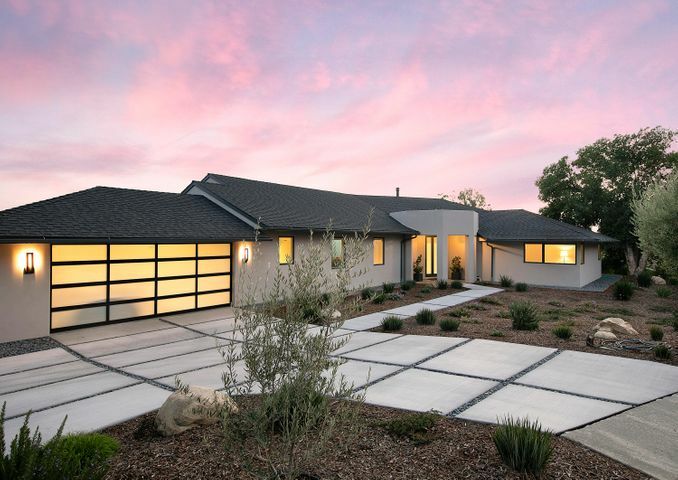 This sophisticated and stylish single level Tom Meaney designed home features walls of glass that bring the beautiful gardens and amazing natural light into the home. 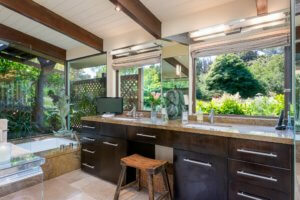 It’s a rare spa like experience that exemplifies indoor outdoor living at its best! 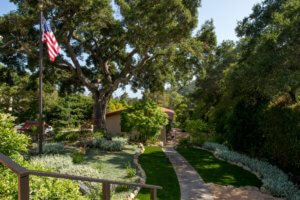 This stunning gated home is located down a private lane offering tranquility and privacy. 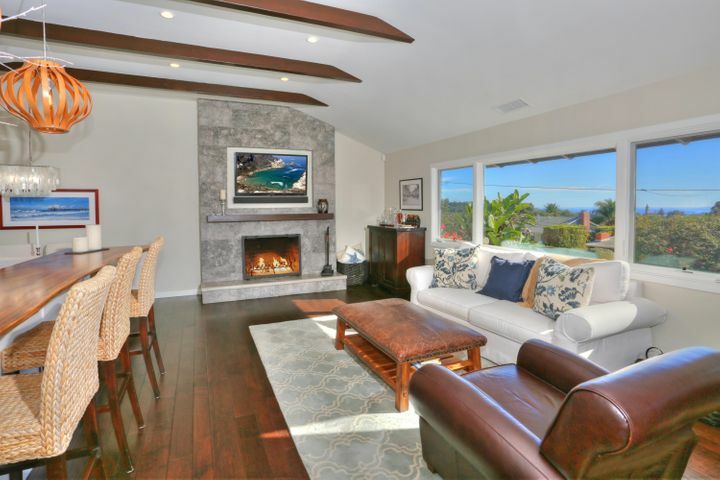 This gorgeous mountain view and ocean peek home with vaulted ceilings has a terrific living room & dining room surrounded by glass, gardens & natural light. 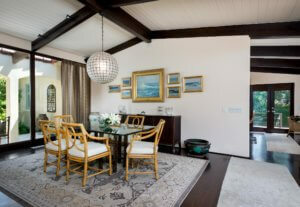 The kitchen and adjacent sitting room open on to a delightful al fresco patio with ocean peeks and onto another patio with mountain views and gas fire pit overlooking the gardens. 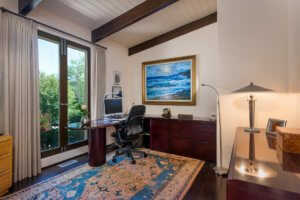 The private Master Suite is a spa like retreat with an amazing custom closet. 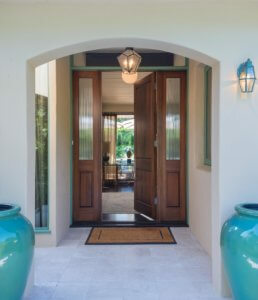 One of the two guest bedrooms has a private entrance. 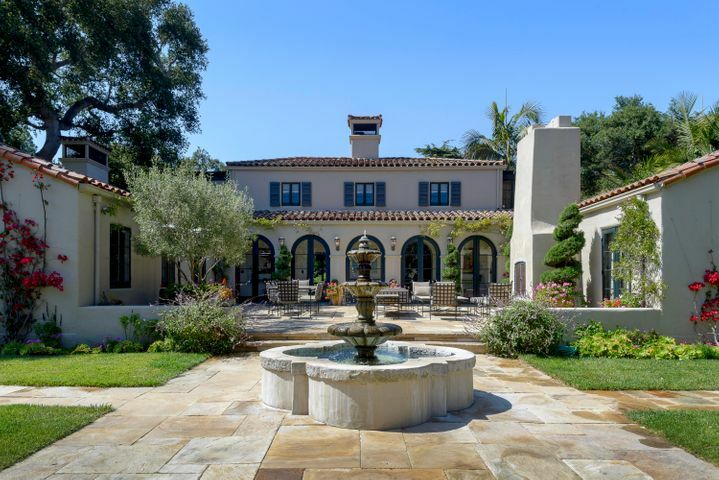 Walls of glass and French doors throughout this home invite the gardens and natural light to be part of the home. 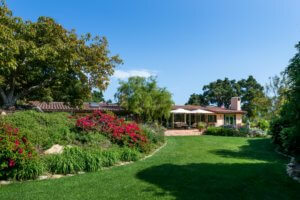 This stunningly appointed home is 3 bedrooms, 3.5 bathrooms on 1.2 gated acres with a 3 car garage. 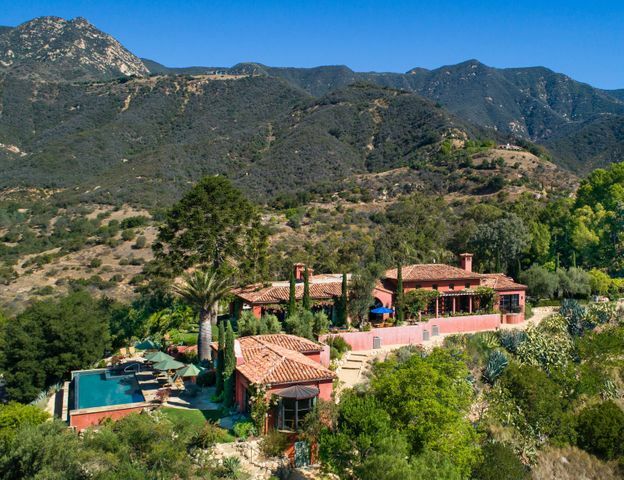 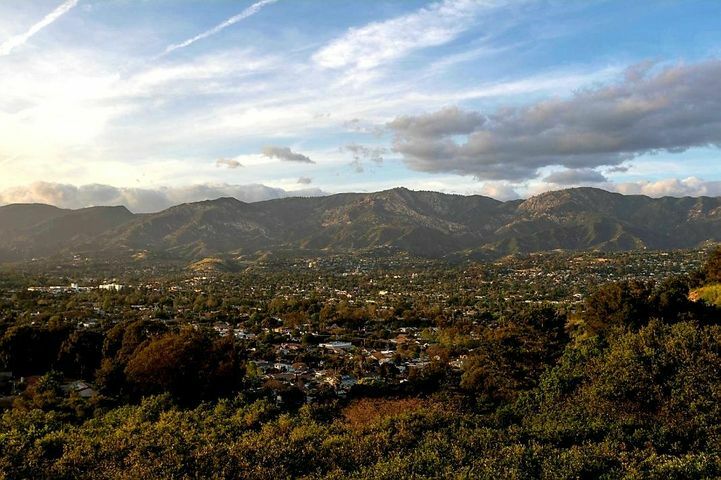 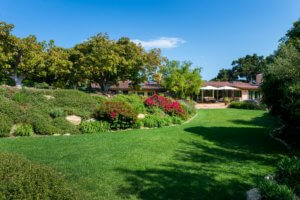 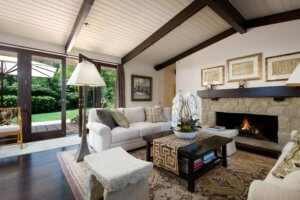 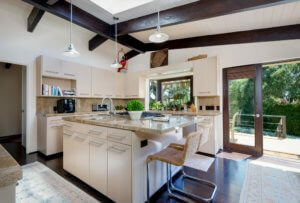 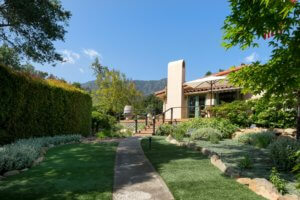 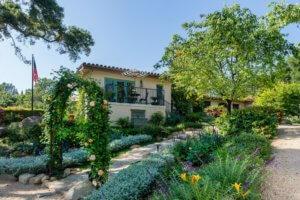 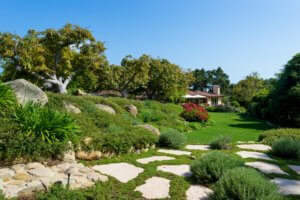 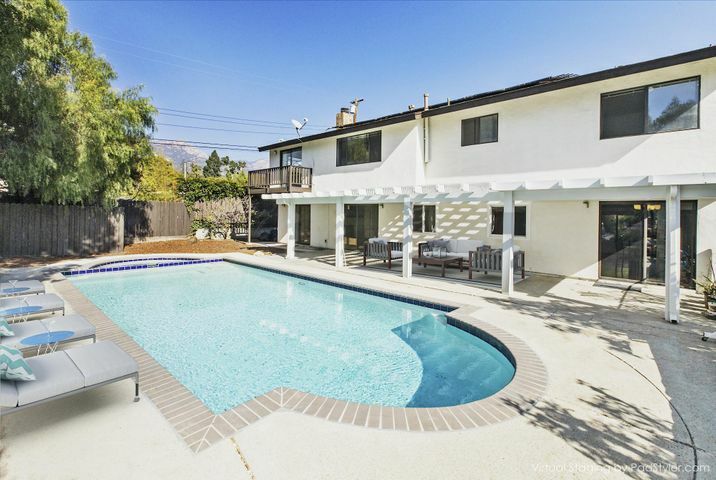 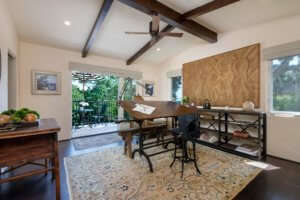 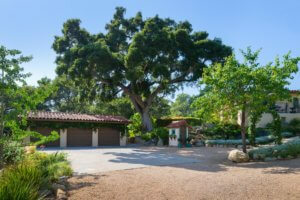 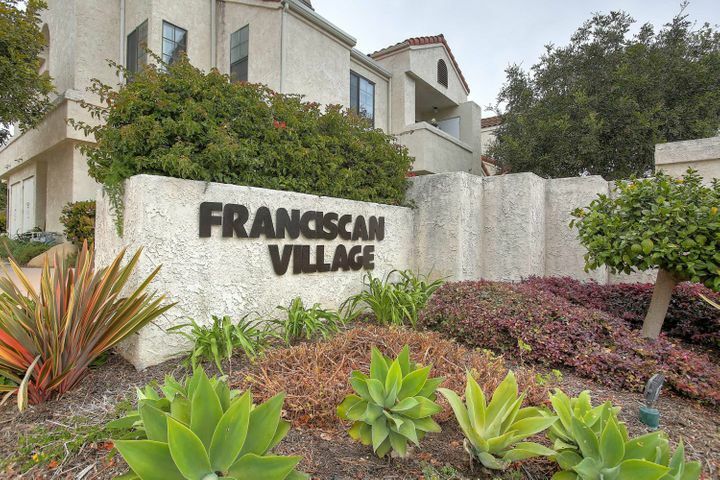 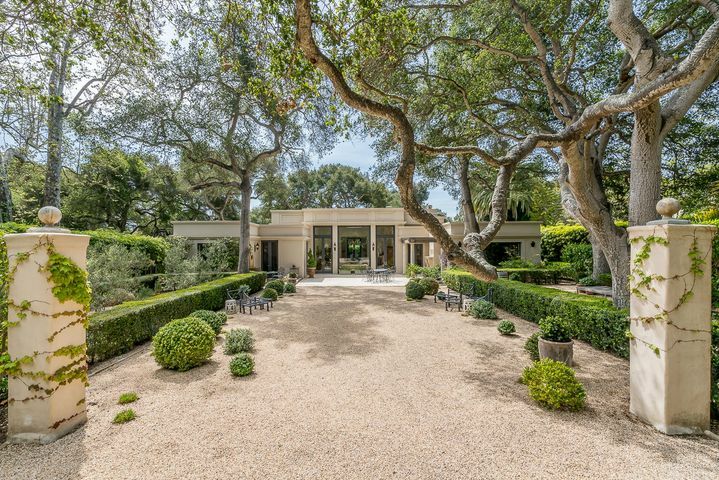 It’s a private and tranquil retreat within minutes to everything Montecito has to offer. 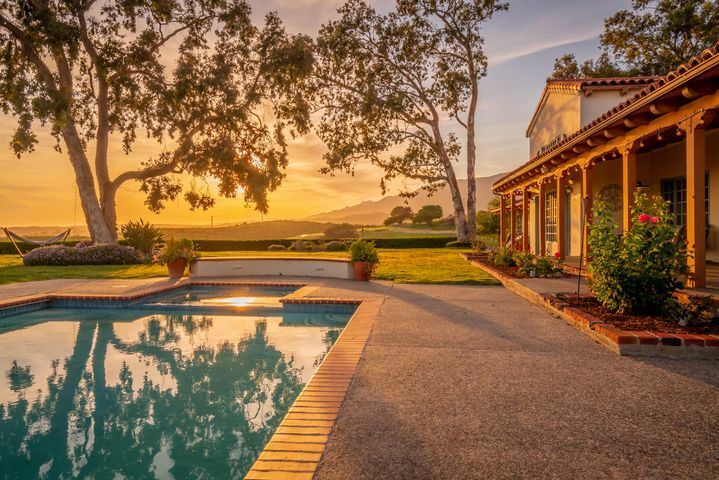 For more information, or schedule a private tour, call or text Wendy Gragg at 805.453.3371 or email WGragg@DistinctiveRealEstateOnline.com.